100,000 words? Wow! That’s so awesome! Great job! And joy is a great word for the year. This is so much fun seeing your year like this! I love how you summed it all together like this. I really like that song you posted! I’ve never heard of it before. Definitely a good new year song. I think joy is the most perfect word to focus on! I, too, tend to make things I even LIKE into a chore. It’s so silly. I want to find more joy in life as well and stop seeing my life as some giant checklist of things to check off. Oh man, the Sherlock special! I don’t really have a means to watch it right now and it’s killing meeee!!! And wait, wait, wait. You never saw Guardians of the Galaxy? :O I don’t think I realized. YOU MUST. IT’S SO GOOOD!!! What’s funny is what I’m most looking forward to is Through the Looking Glass. But I adored the first movie and have an unhealthily obsessed with all things Wonderland, so… Heh. Look at all those boooooks. So much goodness! LEVERAGE. ❤ That is all. LOOK at all you wrote and got done this year. Oh my goodness gracious, you did so AMAZING!!!!! You should feel so accomplished. You are just awe-inspiring. I hope you have the most blessed and joy-filled year ever. Love you! Glad you liked the song! I just… adore it. Aww, I’m sorry! D: I hope you will find a way to watch the Sherlock special! I saw it and it’s AMAZING. I hope you get to see it!!! Joy is a good word, and something I need to remember as well all too often . . .
For the record, I haven’t seen Guardians of the Galaxy either. Or TWS, which you have . . . I need to fix that sometime. May you have an excellent 2016! YOU MUST SEE TWS YES. YOU ENTERED THE ROOGLEWOOD CONTEST!!!!!!!! YAYAYAYAYYAYAYAYAYAYAYAYAYYAYY!!!!! I HOPE YOU WIN!!!!!!!!! EEEEEEEEK! Okay, ahem. Yes. Jolly good show, old chap. Joy. I love that that is your word this year, and the reasons behind it. May you experience joy in all aspects of life this year. I loved this post! Thank you for sharing that song—it’s beautiful; no wonder you’ve been listening to it over and over! Sounds like 2015 was overall a great year for you! Yay for first experiences doing new things…I love new experiences. 🙂 Congrats on all the written words, too! Congratulations on getting your story finished for the contest! I hope you win!!! 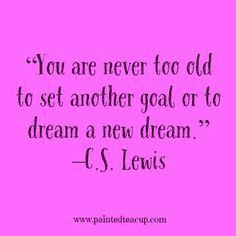 I also love that C. S. Lewis quote at the end! May you have a joyful and beautiful 2016! Civil War!!! Sherlock!!! Leverage!!! Star Wars!!! All the Kedran’s Wood!!! ASDFGHJKL!!! Good luck on the Five Magic Mirrors contest!!! Joy is a wonderful word for 2016, something I probably need to remember as well :). Okay, don’t yell at me, but I have never seen any of the Avengers movies *hides from all tomatoes being thrown* *peeks back out* I really do want to watch them, though. Argh, you got to see SO many movies that I wanted to see this year! There are jealous feels happening over here :). You entered the 5MS contest?! Good for you, Deborah! I’m so glad you were able to, I bet your story is amazing! Love the quote you ended this on, it’s so true. You entered the Rooglewood contest?! Yay! 😀 I'm so excited for you! Joy is such a good word! Choosing joy despite whatever our feelings may be–that’s so important (and so easy to forget). This was fun to read, and I wish you an even better 2016! Your three movies are the three movies I’m excited about. Especially Civil War. What did you think of The Abominable Bride? I really enjoyed it. I am astronomically behind on everything, so my goal for 2016 is to at least make a list of everything I need to do/finish, and then set a plan from said list! AAAHHHH I LOVE THIS POST SO MUCH!!!!! *tackles it in a big hug* You had a very writerly and bookish year! (Which obviously means it was awesome!) Seriously though, you read 66 books? 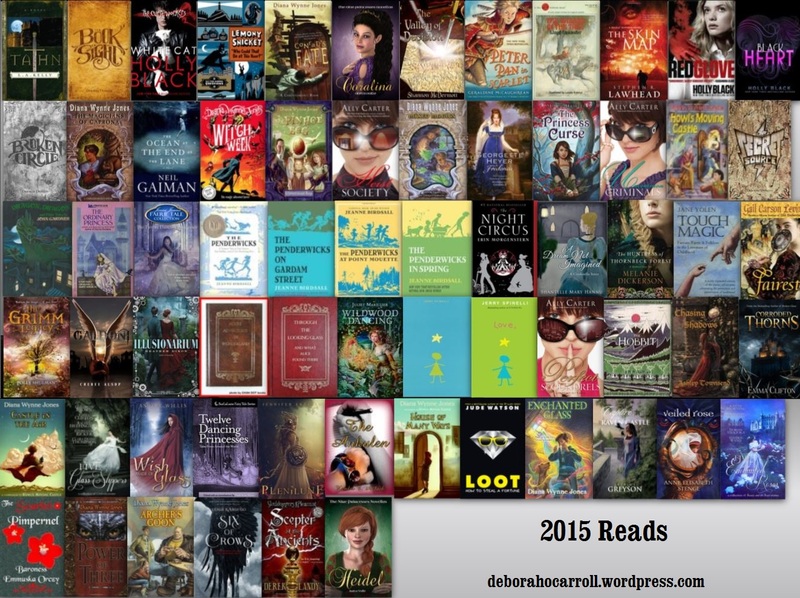 I feel ashamed of the paltry number of titles I checked off my TBR list in 2015. It seems that I was too busy to read all the beautiful books that demanded my attention. *sighs* One of my goals for 2016 is to read at least 50 books because I sorely miss my dear literary companions. STAR WARS!!!!!!!! Oh my gracious goodness, IT WAS AMAAAAAZING!!!! I seriously loved it so much! (Even more than the originals, if you can believe it.) All the new characters were awesome! I especially loved Rey and BB-8. That ending, though…No, just no. GREAT post! I really enjoyed getting a little peek into your 2015. Before I forget, I finally got that blog I’ve been promising everyone up an running. Here’s the link in case you have the time and/or remote interest to check it out. YES YES. Except for the near-ending part, and a couple of overall plot things, I loved it even more than all the previous ones! *flails around* IT WAS AWESOME. (Except for said near-ending… Though the actual last scene was cool and I can’t wait to see what happens next. O_O) YES, Rey! And BB-8 was ADORABLE!